Measure the ingredients into the pan in the order they are listed above. This ensures the best mixing and therefore the best result. Press start button. 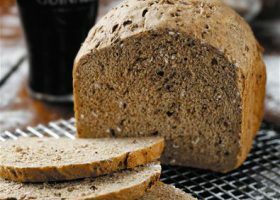 Allow the bread to cool in the pan for 15 minutes before turning the pan upside down and tapping the loaf onto a cooling rack.